Written by Studio1337 on October 14, 2011. The passing of Steve Jobs was a shock to most and a loss to all of us in the world of technology. However, another figure has recently passed with little recognition for his accomplishments. 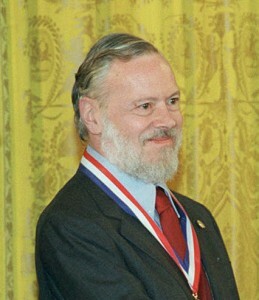 Dennis Ritchie, who passed October 8th of this year, developed the C programming language and was a key contributor to the Unix operating system. Ritchie’s influence on technology and the world as a whole is immeasurable. It’s because of Ritchie’s accomplishments that Jobs was able to create the Apple empire. The world owes Ritchie greatest due respect.